Southern Alberta is no stranger to flooding, but this week's devastation from Canmore to Calgary and beyond was the result of a unique confluence of unexpected weather and a still partially frozen landscape unable to soak up such an unprecedented deluge. Southern Alberta is no stranger to flooding, but this week's devastation from Canmore to Calgary and beyond was the result of a unique confluence of unexpected weather and a still partially frozen landscape unable to soak up the unprecedented deluge. Hydrologists who watch the waterways like the Bow and Elbow rivers say several factors were at play since the rain started to fall about four days ago. "To have these very large flood events … the stars have to line up," says Uldis Silins, a hydrologist at the University of Alberta in Edmonton. Most significant is a large amount of rainfall — up to 200 millimetres in some places. Add in ground that is already saturated because of some more modest precipitation — about 40 millimetres — preceding the deluge. Combine that with areas that were still frozen not far below the surface and a local geography that encourages water to run down hill quickly, and there's a recipe for this week's devastation. "In this particular case, it was a little bit of precipitation preceding the heaviest rainfall, and then a period of 16 hours of very heavy rainfall in the Elbow," says Silins. 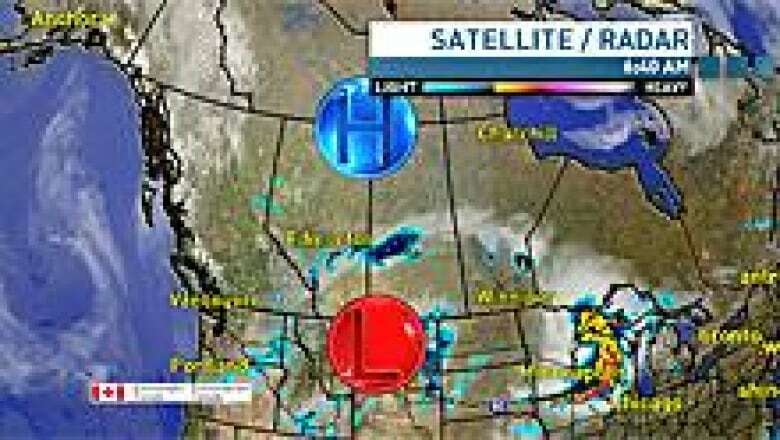 "In the Crowsnest Pass, it was about 12 hours of very heavy rainfall on top of already wet ground. "And then in the case of the Elbow, that's occurring in the headwaters of a very steep watershed, and so those flows then are routed down fairly quickly down valley. In the case of Calgary, they arrived fairly quickly." The deluges were the result of some unusual weather. Along with the torrents of rain, there were unexpected wind patterns and the convergence of two huge weather systems. Some of the hardest-hit areas have experienced twice as much rain in 48 hours than the normal average for all of June. On June 20, Calgary experienced record one-day rainfall with 45 millimetres coming down. The previous record was 35.1 millimetres, set in 1964. The heavy rain is also the product of an odd set of circumstances, says Stephanie Barsby, CBC's meteorologist in Edmonton. The massive weather system responsible for the storms was still trapped over southern Alberta on Friday by a high-pressure system to the north and winds blowing toward the west, the opposite direction of the prevailing winds throughout Canada. "That high pressure system is preventing the storm from moving north, and the Rockies are preventing it from moving west, so it's stuck right over the regions that are seeing the flooding," said Barsby. "It's unusual to see a system stuck in one place for such an extended period of time." Timing was also a factor in this week's events. "Things evolved quickly because of the time of year," says John Pomeroy, a University of Saskatchewan hydrologist who was trapped in his home in Canmore on Friday after the conditions forced the closure of the Trans-Canada Highway and isolated the mountain resort town. Pomeroy was safe — as a hydrologist, he prefers a house on a hill well above the river — but he's been watching with intense interest the confluence of events that culminated in this week’s floods. "There's still some snow in the mountains so the ground was frozen and things are relatively wet this time of year already," he said. And then the heavy rain moved in. For Pomeroy, who had his local research basin — Marmot Creek in the Kananaskis Country park system — destroyed by high flows on Thursday, it all came as a surprise. "The interesting thing is that a week ago, you wouldn't have seen this or forecast this as a particularly large event." he says. "The snowpacks were sort of average. The snowmelt had been a little bit late in the mountains, but nothing spectacular." "We know it was raining on the tops of the mountains and that causes rapid snow melt, and so we think in some places another 110 millimetres of snowmelt water contributed to that rainfall water," says Pomeroy. Soil that started off reasonably dry within half a day was saturated and no longer able to soak up any moisture. "The other thing is that one of my colleagues observed that some of the soils were still frozen 50 centimetres under the ground so they couldn't absorb much water," says Pomeroy. All that means the water has to start going somewhere else. "It starts moving overland and eroding new channels, which can be very destructive and so that's what’s happening," says Pomeroy, who said he was at a spot on Cougar Creek on Monday that you could jump over. By Friday, the water was 100 metres wide at that same place. Pomeroy says the precipitation and stream flow measured in some areas this week are the highest ever recorded. 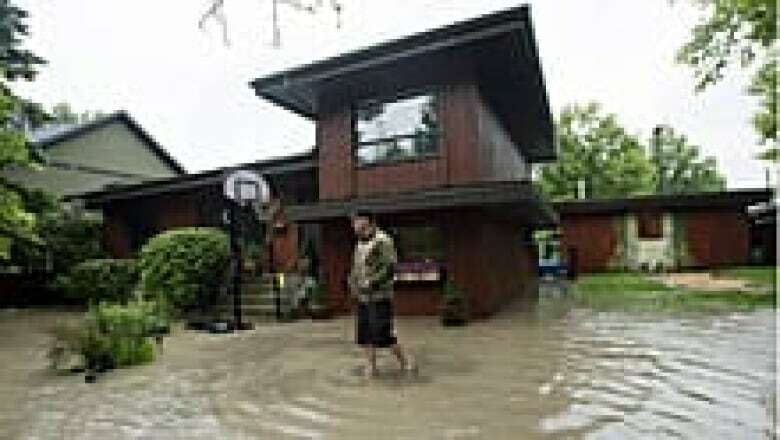 "It's certainly beyond what any town or municipality or province would reasonably deem necessary for flood protection. "We have flood-risk maps for Canmore and they show areas that aren't supposed to get flooded, and they're all flooded right now." For Pomeroy, this week's experience has been a unique juxtaposition of the theoretical aspects of his professional life and the very real toll the forces of nature can take on people. On any given day, he might spend 12 or 14 hours a day thinking about how water flows. He might work on computer models or statistics for high-flow events. "They can become numbers and scientific methods in your mind and it's really different then to start to see it happening or start to see houses going down and massive destruction in your own community, and talk to people who have had terrible things happen. "It puts a human face on those numbers, so in that sense it inspires us to do an even better job and work harder at this and try to come up with better solutions for everyone."